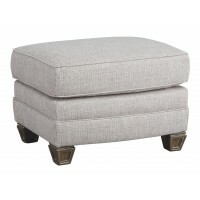 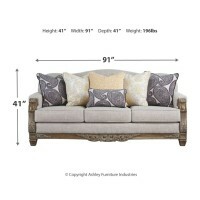 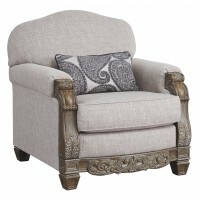 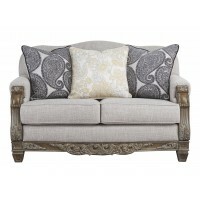 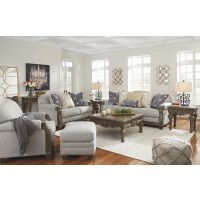 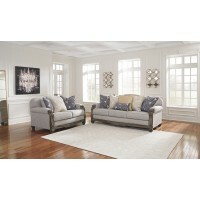 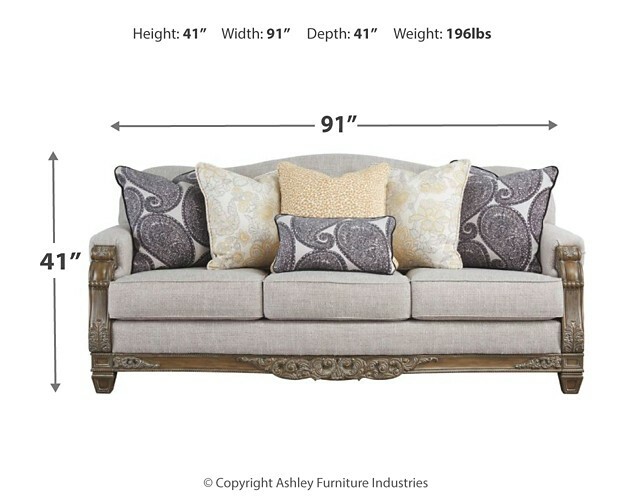 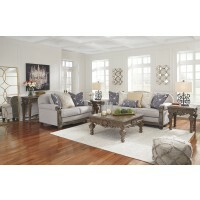 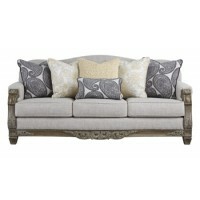 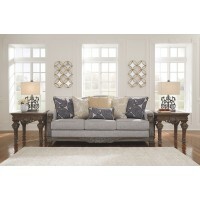 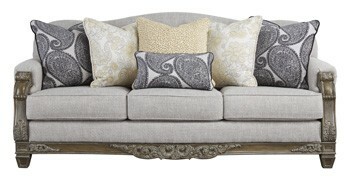 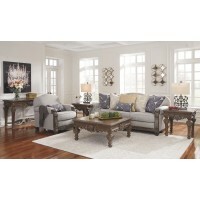 For those yearning to revisit the past, this richly styled sofa is a wonderful place to transport yourself. 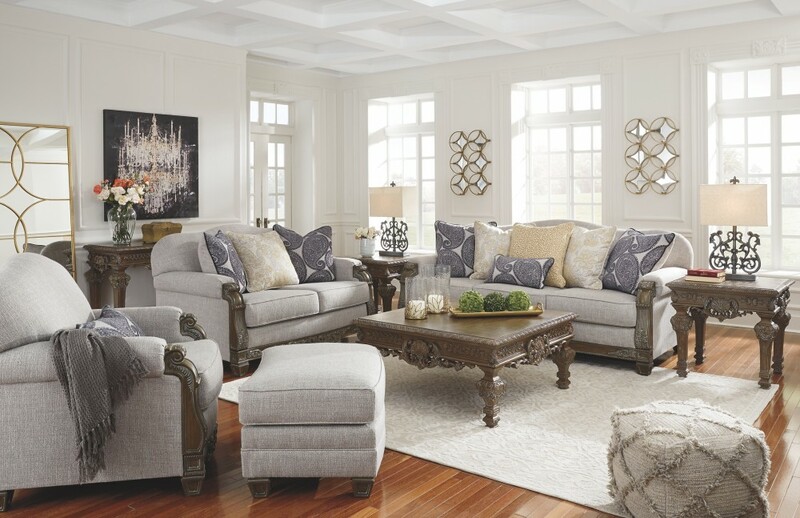 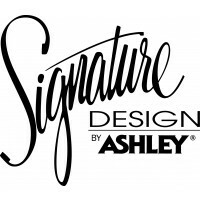 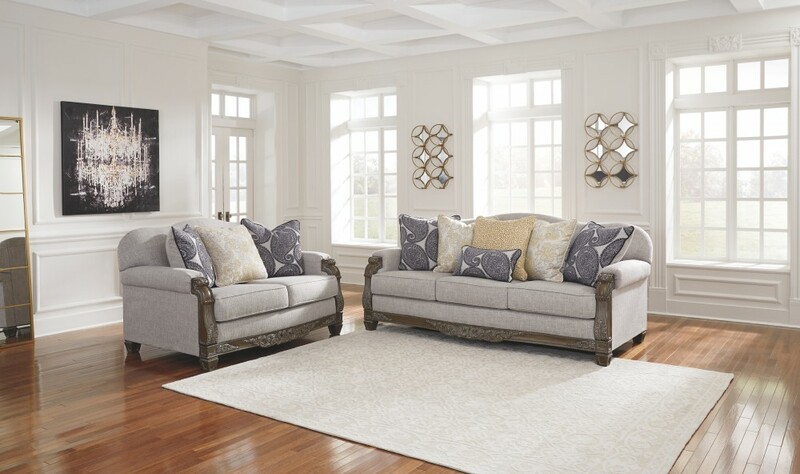 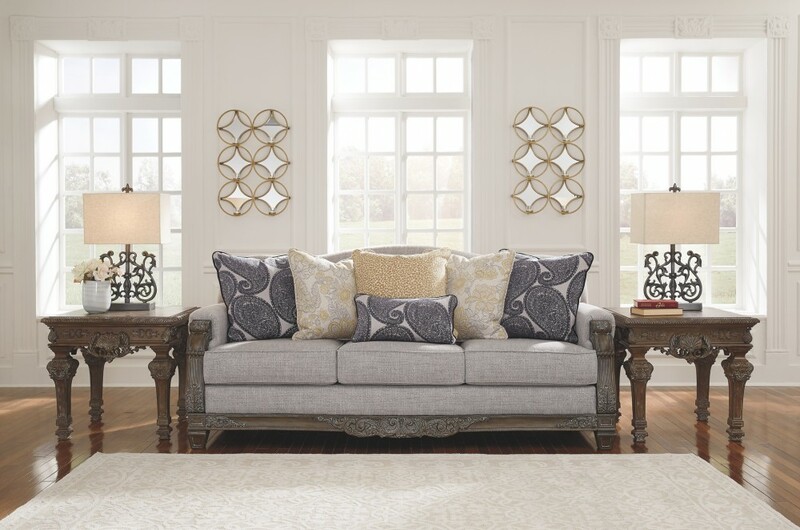 Painstaking details include an opulent exposed frame with elaborate appliques and sculpted “knuckle arms.” Dressed to impress in every which way, this vintage-inspired camelback sofa entices with an easy-on-the-eyes slate gray upholstery with a feel-good nubby texture. 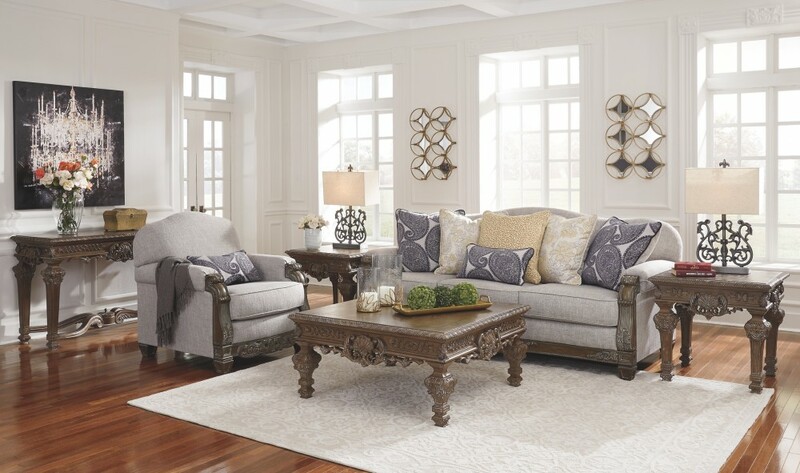 Showcasing an unexpected fusion of paisley, floral and ditsy patterns, the eclectic mix of feather-filled toss pillows just works beautifully.